This classic black men's T-Shirt is Available in sizes M-3XL. Classic John Deere black T-shirt. No frills, no gimmicks. 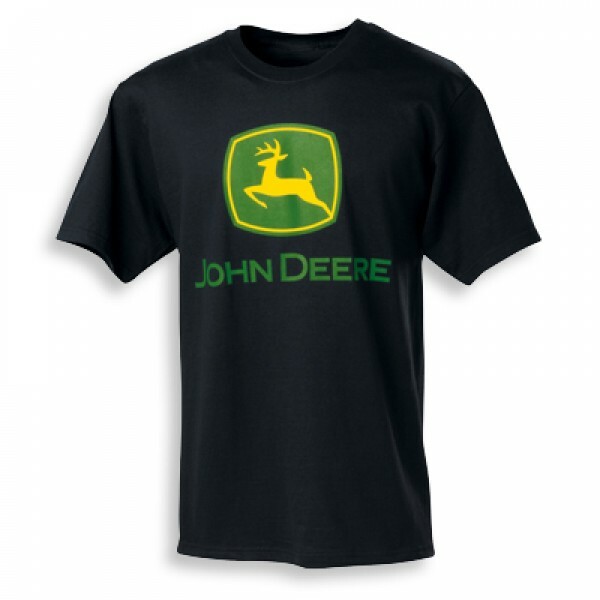 This plain black shirt has the classic green and yellow screen printed John Deere logo proudly on front. This light weight 5.5 ounce 100% cotton shirt is a must for any John Deere fan.